Book proposals are sent the Editorial Board, read more here. A minimum of two reviewers are assigned by the Academic co-ordinator (see instructions for the Academic co-ordinator) to each manuscript. They read the manuscript and provide comments within the Kriterium framework. The review is carried out as a double- or single-blind one. 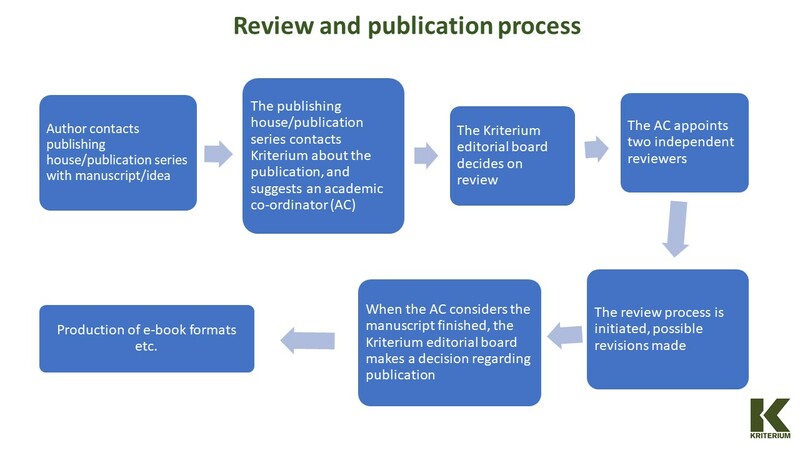 Reviewers provide an assessment of the manuscript in Kriterium’s digital review platform, where they recommend either major or minor revisions to the manuscript, or indicate its unsuitability for publication. When necessary, there can be several rounds of review. Please prepare a summary statement of your review on 2-5 pages using the below headings. Detailed comments can be added under a separate heading or as comments directly in the manuscript. The questions given under each heading indicate what may be taken up in your comments. Please take care also to provide comments that articulate the virtues of the manuscript in addition to critique and suggestions for changes. A summary of the manuscript is not expected to be a part of your review. - within the specific subject area/sub-discipline? - on a general, theoretical and/or comparative level? Is there anything that is particularly innovative or of greater scientific importance in the script? Are there clear grounds in the theme, the field and the scope of the work that justify a book? Is the content and main arguments presented logically and in a well-structured and comprehensible manner or can you recommend alternative ways to structure some parts or chapters? If language editing is required, please give specific examples, specify the scope and point to the parts this applies to? Are the individual chapters well focused on what you think are essential elements of the work? Are there parts that are less relevant to the field and/or the study's main focus? Is the methodological and theoretical framing of the scientific work adequate and in line with expectations in the field? If the work is based on empirical data, is it reported with the accuracy that can be expected? To what extent has the text integrated starting points and results from relevant literature? Are there any missing important references or bodies of work? Are there already published books similar to or close to this work? How independent and unique can the text be considered? 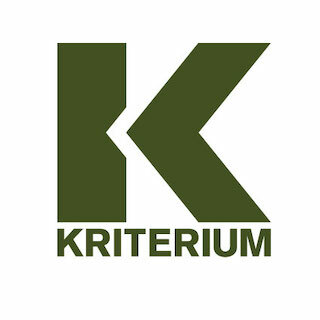 Would you recommend the manuscript to be accepted for publication in Kriterium? Would any major changes be necessary before accepting the manuscript for publication, and, if so, would you suggest that a revised version of the manuscript undergoes a full review again?